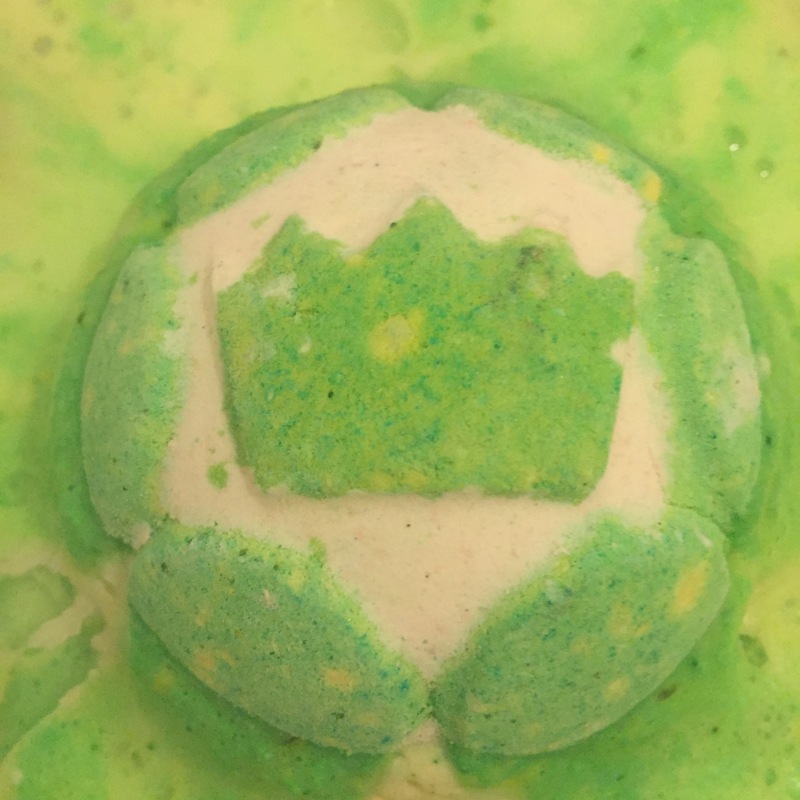 The jelly bath bomb is a brand new invention that has only just been released and caused a lot of excited hype amongst the Lush community. The second out the four brand new Jelly bombs that I decided to try was the Green Coconut jelly bomb. As I am a huge fan of anything Coconut I was really excited to find out what this product would be like. 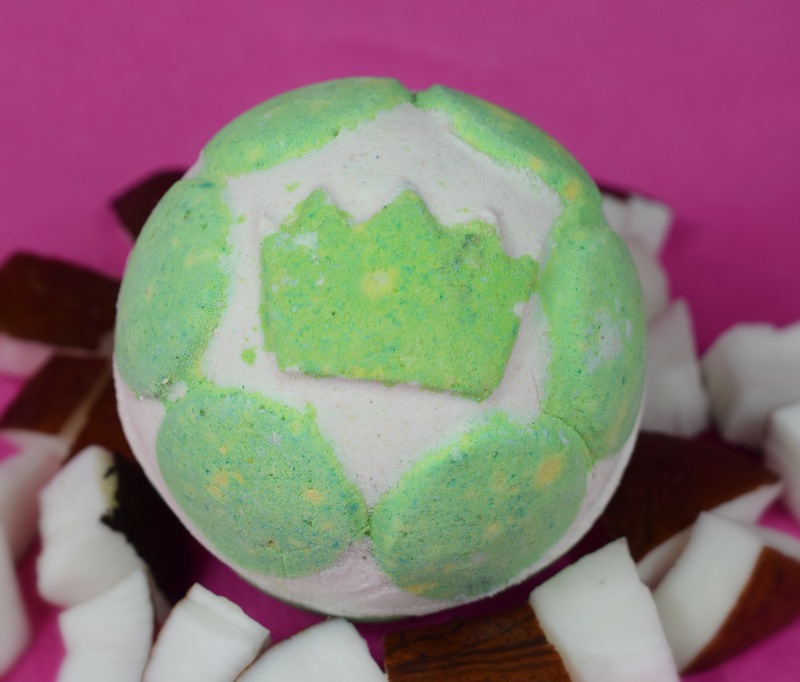 The concept of the jelly bomb is brilliant, the product looks a lot like a general bath bomb but once in the water it reacts a lot lot different to normal. The inclusion of the sodium alginate creates the jelly and it is design to help soften and moisturise your skin. 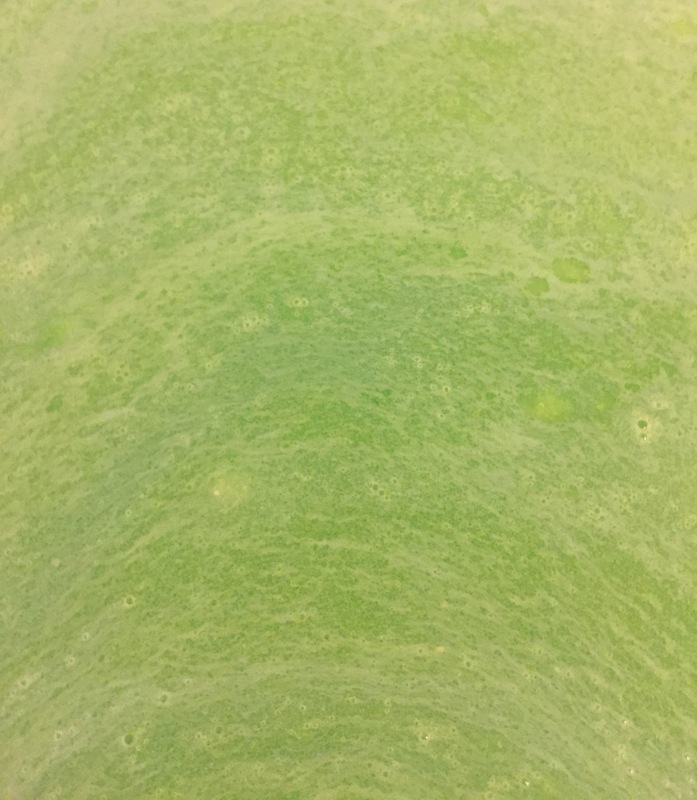 The scent of the green coconut jelly bomb is a little different to what I was expecting. I thought from the name it would have a very strong coconut scent. Although this product defiantly does smell of coconut, it is a lot more muted and subtle. The scent itself is much more of a general tropical scent with a creamy coconut element to it. 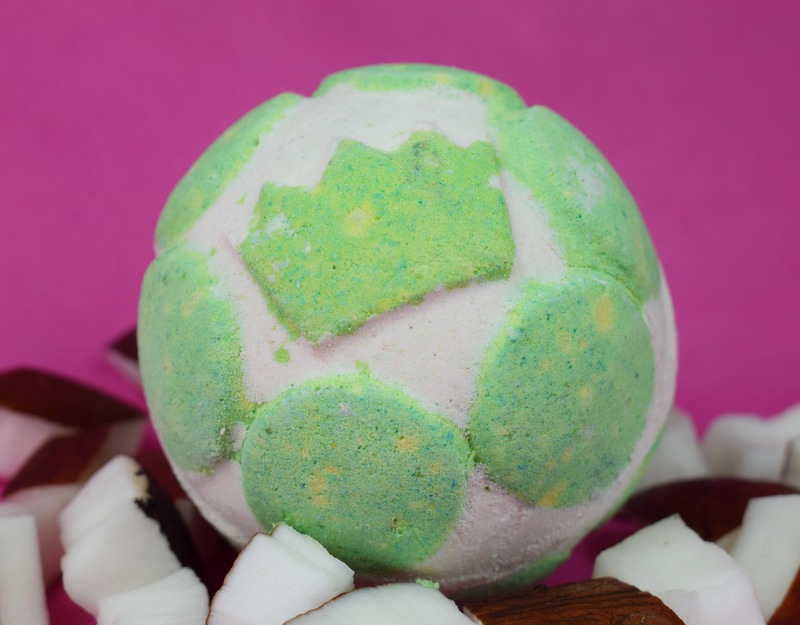 Whilst reading up on reviews and seeing what other people have said about the Green Coconut jelly bomb I have found a lot of people seem to think it smells of Thai Green Curry! I personally don’t see this myself but I guess I can see where people are coming from, as it does have a very musky creamy coconut scent. I found the jelly bombs scent to be very fresh, however I would have preferred it to have been a little sweeter as I found it to almost have a bitter side to it. Once popped into the water I was defiantly a little disappointed by the Green Coconut jelly bomb. 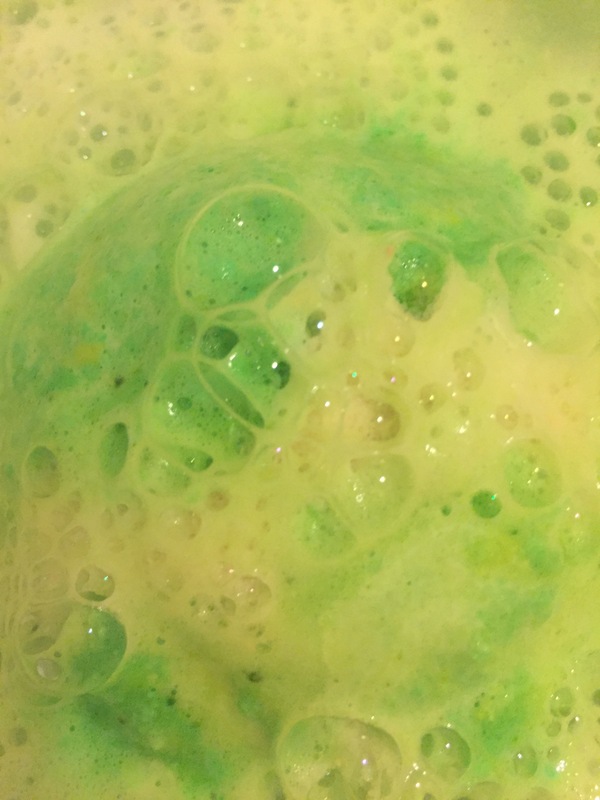 At first the jelly bomb fizzed happily creating waves of lime green colour and releasing its lovely fresh tropical scent. 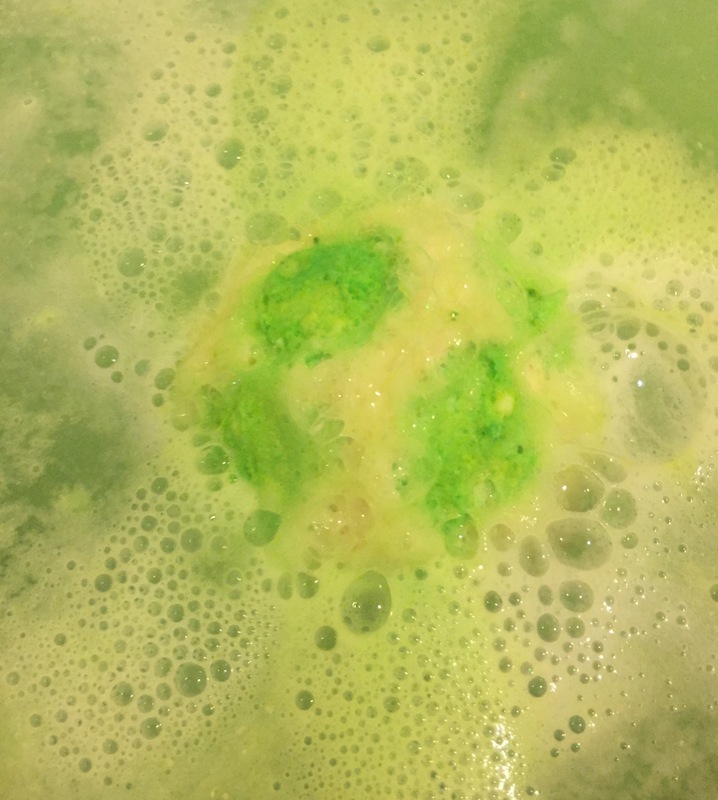 However when the jelly bomb reached its centre, where the jelly making ingredients are, I found that it reacted a lot different to the other Jelly Bombs that I have tried. Instead of the Jelly dispersing across the top of the water to create a thin film, I found the jelly clumped up into huge lumps that bobbed across the top of the water. I also found that the jelly that did disperse, felt a little more slimly than the other products I have tried. I almost felt a little like i was taking a bath in frogs spawn. 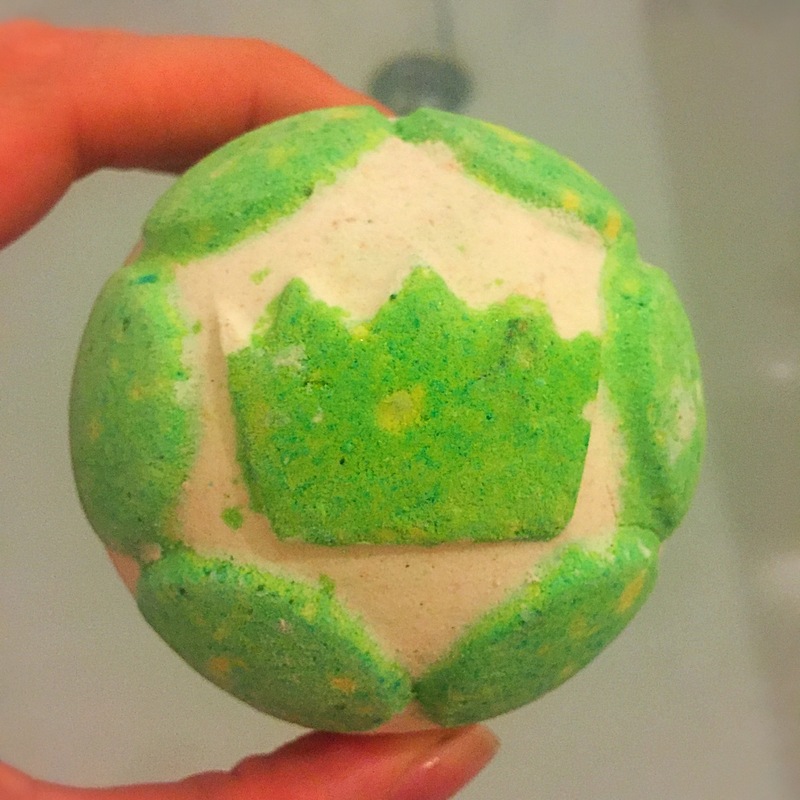 I do feel that although the concept of a jelly bomb is great it is a little weird to get use to the consistency and the fact that this had a green colour just make me instantly think of slimy ponds and frogs. 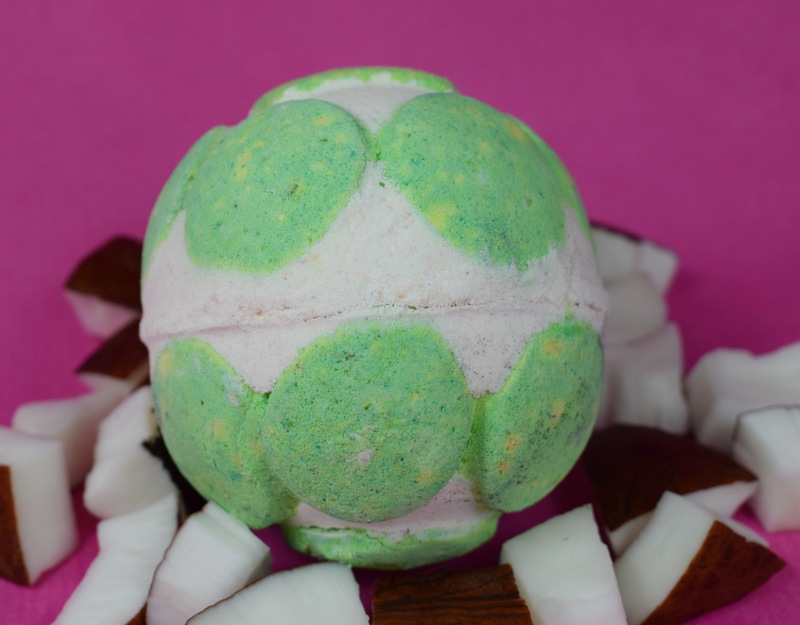 Although the Green Coconut Jelly Bomb wasn’t my favourite, I am still very much looking forward to trying out the other products in the range. I’ve been dying to try these jelly bombs! They do sound a little bit disappointing, I thought it would turn most of the bath into a runny jelly-like substance! I’ll definitely be mindful of this review when I finally get round to trying one of these jelly bombs!